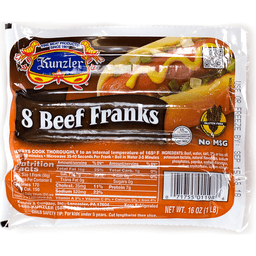 Kunzler® 8 Beef Franks. 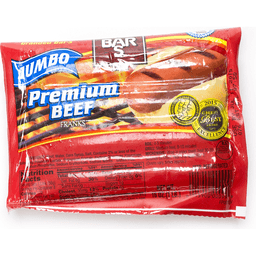 Fine meat products since 1901. U.S. inspected and passed by department of agriculture. Gluten free. No MSG. NET WT. 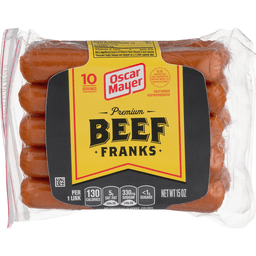 16 OZ (1LB). 1-888-KUNZLER (586-9537). kunzler.com. 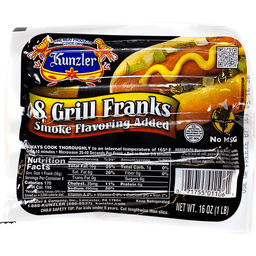 Kunzler® Grill Franks. 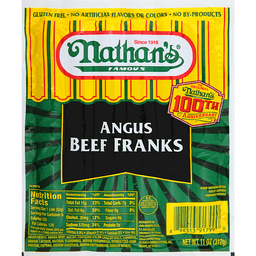 Fine meat products since 1901. Smoke flavoring added. Gluten free. U.S. inspected and passed by department of agriculture EST. 9424. No MSG. 8. 1-888-KUNZLER (586-9537). kunzler.com. 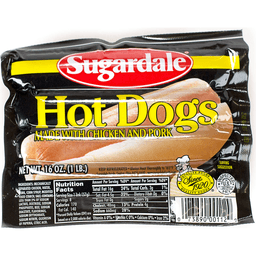 Made with pork, beef, and chicken. No MSG. US inspected and passed by Department of Agriculture. 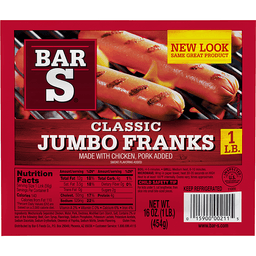 Berks® Original Franks. Gluten free. Quality since 1933. Simply delicious! 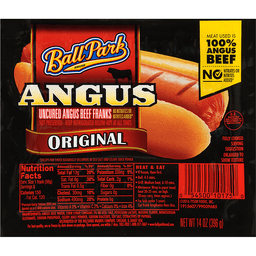 Our old-fashioned beef & pork classic. U.S. inspected and passed by Department of Agriculture Est. 8782. 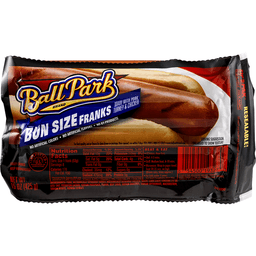 1-800-882-3757. www.berksfoods.com. 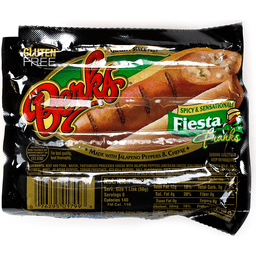 Berks® Spicy & Sensational! 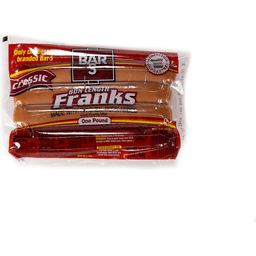 Fiesta Franks. Gluten free. Quality since 1933. 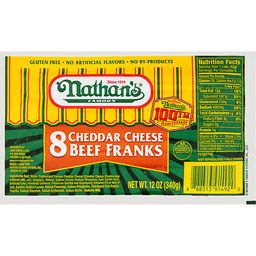 Made with jalapeno peppers & cheese. U.S. Inspected and passed by Department of Agriculture. EST. 8782. 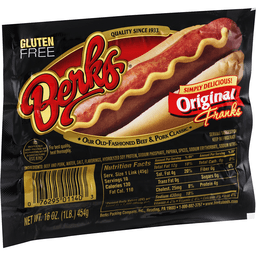 1-800-882-3757. www.berksfoods.com. 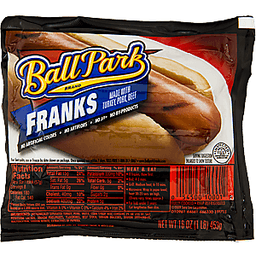 Ball Park® Brand Franks. 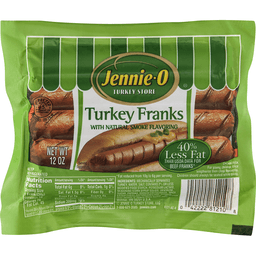 Made with turkey, pork, beef. No artificial colors. No artificial flavors. No by-products. Toll-free-1-888-317-5867. 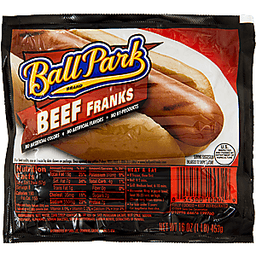 www.ballparkfranks.com. 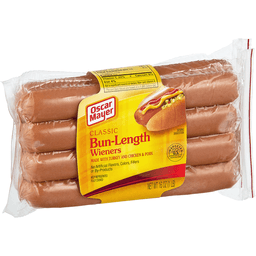 Enlarged to show texture. 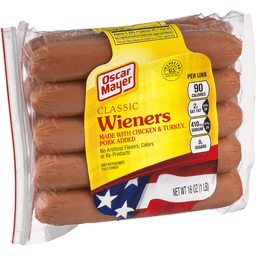 Inspected for wholesomeness by U.S. department of agriculture. 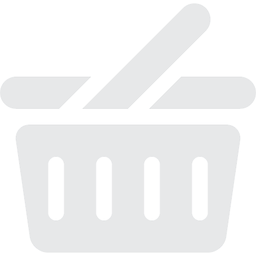 ©2009 Sara Lee Corporation. 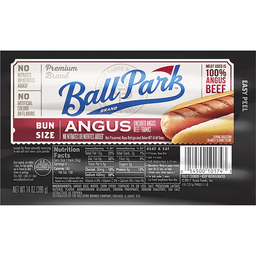 Ball Park BRAND. 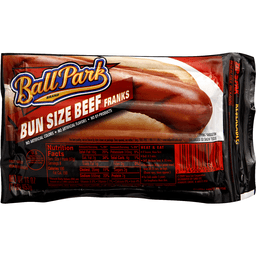 BUN SIZE BEEF FRANKS. 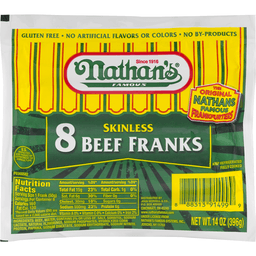 NO ARTIFICIAL COLORS - NO ARTIFICIAL FLAVORS - NO BY-PRODUCTS. 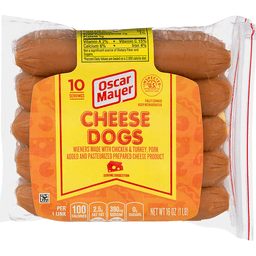 For best quality, use or freeze by date shown on package. Once opened, use within 7 days. ZIP PACK. 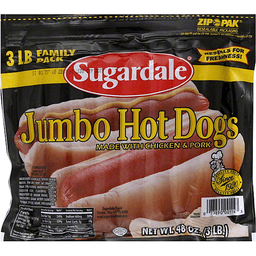 RESEALABLE PACKAGING. FULLY COOKED. U.S. INSPECTED AND PASSED BY DEPARTMENT OF AGRICULTURE. 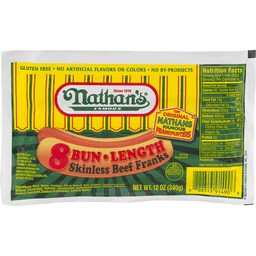 NET WT 16 OZ (1 LB) 453g). 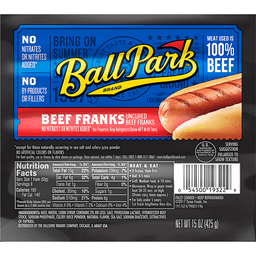 Ball Park® Brand Beef Franks. No artificial colors. No artificial flavors. No by-products. 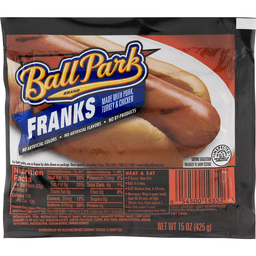 Toll-free 1-888-317-5867. www.ballparkfranks.com. U.S. inspected and passed by department of agriculture. ©2009 Sara Lee Corporation.